A report shows Kansas farmers harvested a winter wheat crop this year that had lower than usual protein levels. The report issued Thursday by the National Agricultural Statistics Service and Kansas Grain Inspection Service showed protein content averaged 11.6 percent. That is down from 11.7 percent last year as well as the 10-year average of 12.5 percent. 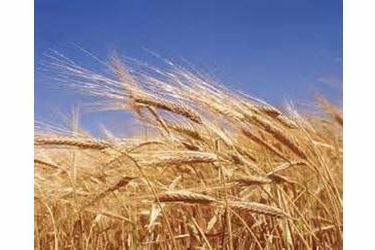 Wheat crops with protein levels of 12 percent or more fetch premium prices for farmers because that higher quality wheat is used to make bread. The protein in flour is what gives it strength when mixed with water and yeast, allowing the bread to rise better for fluffier loaves. The average test weight in Kansas was 60.5 pounds per bushel. About 67 percent of the crop was graded No. 1, the highest rating.